The Democrats have a proud history of racism. Democrats fought against the Union during the Civil War. Democrats founded the KKK as an armed wing of the liberal party. And, Democrats initiated the Jim Crow laws in the South. 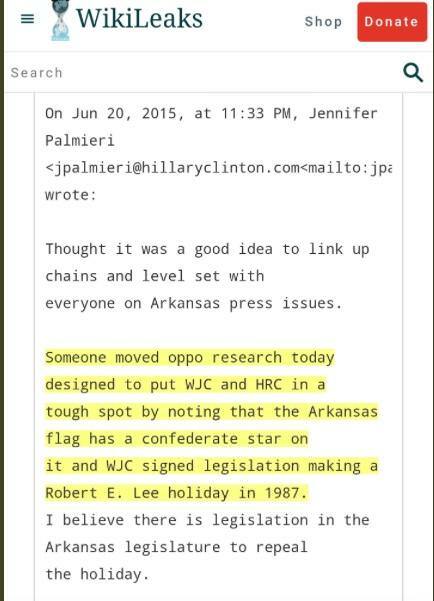 The Hillary Campaign knew playing the race card would be problematic during the 2016 election because of the Bill and Hillary’s support of Confederate holidays and Robert E. Lee. 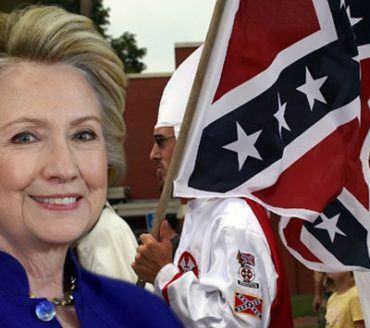 As first family of Arkansas the Clintons set aside a special day each year to honor the Confederate Flag. (a) The Saturday immediately preceding Easter Sunday of each year is designated as ‘Confederate Flag Day’ in this state. (c) Any person, firm, or corporation violating the provisions of this section shall be guilty of a misdemeanor and upon conviction shall be fined not less than one hundred dollars ($100) nor more than one thousand dollars ($1,000). And Bill Clinton signed legislation to make Robert E. Lee day a holiday.